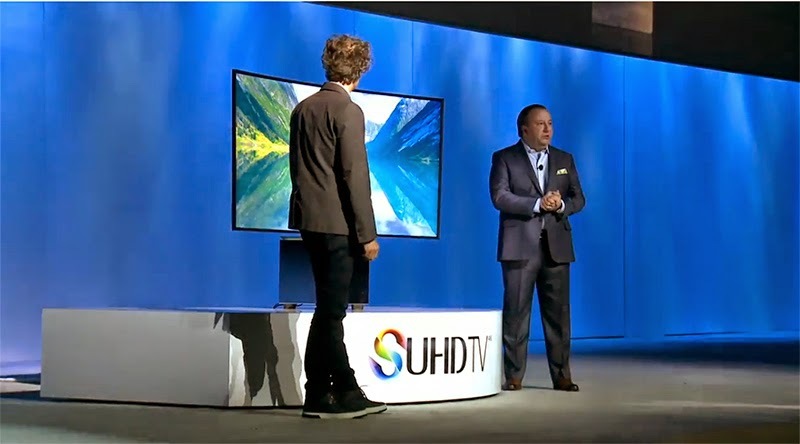 CES 2015: Samsung summary of the first conference! 11:49 p.m.: the conference is over. No listings smartphone or tablet, or even connected object. It was not until the second conference of the manufacturer at 3:30 that night to see if the Korean we booked more. 11:48 p.m.: Return Tim Baxter, CEO of Samsung US. It smells the end. And still no smartphone or tablet. 11:43 p.m.: Turning now to the robot vacuum cleaner. Samsung wants to revolutionize the whole house. 11:42 p.m.: A Chef Collection tablet equipped with cooking Apps allows for good food easily, according to the leaders. 11:41 p.m.: entry of three celebrity chefs to testify to the quality of products. 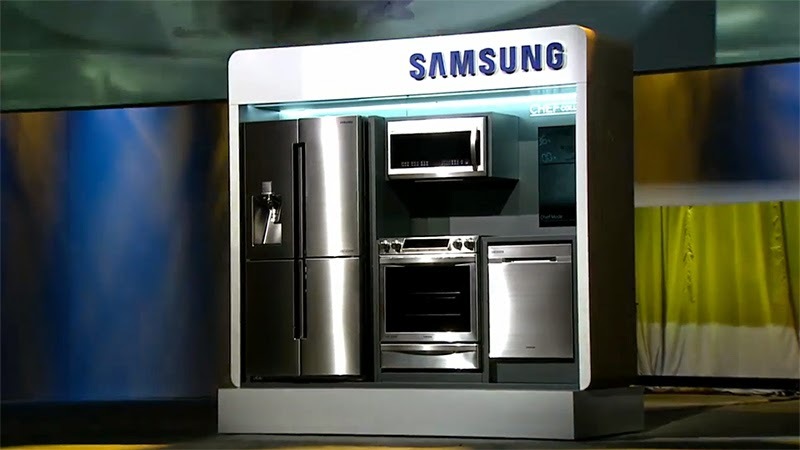 11:38 p.m. Samsung now presents its new products for home appliances. 11:36 p.m.: entrance to John Herrington, he will talk about refrigerators. The conference takes the same turn as LG earlier in the day. 11:35 p.m.: Samsung unveils Ring Radiator loudspeakers that broadcast music throughout the house with the same quality. 11:33 p.m.: Samsung wants to be part of the actors to music with Samsung Audio Lab. 11:32 p.m.: many games available through Playstation Now. 11:30 p.m.: Samsung TV can communicate with smartphones and tablets brand how to Chromecast but Chromecast. 11:29 p.m.: we will now talk about the TV software. Wonjin Lee, Executive Vice President of Samsung Electronics is the maneuver. 11:25 p.m.: they now attack the design of the TV. Enter Yves Behar, designer. 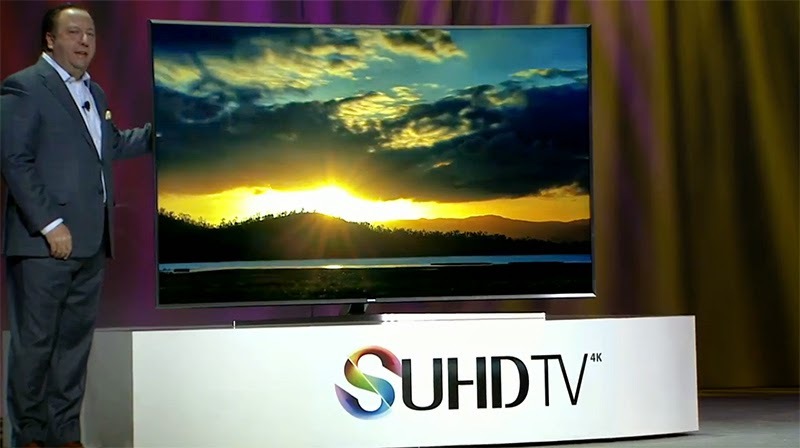 11:24 p.m. Samsung technology ensures If UHD ensures the best image quality on TV at the moment. 11:22 p.m.: Input a Digital Colorist to explain the importance of color technology If UHD. He technology allows for the most realistic renderings. LG unveiled in late afternoon the LG G Flex 2 at its press conference at the CES 2015. It is now the turn of Samsung to make his ads. All technology enthusiasts and Android eagerly awaiting what will happen in Korean. In recent weeks little information has circulated about possible product announcements, at least in regard to smartphones and tablets. The suspense is total. We invite you to discover together what we prepared Samsung. 2015 will be a decisive year for the builder who has experienced one of its worst years in 2014 . The live begins at 23h, we will point out the ads in the coming hours. And as the Americans say "Have fun! ".